You've likely heard a thousand times that “the kitchen is the most important room" in the design of a house plan. It is an area for entertaining guests, a functional family space, and depending on the home's floor plan, may be the first part of the house entered by visitors. After understanding the importance of the kitchen in your home plan – whether a large eat-in kitchen or a kitchen with an island – the next item to delve into is how to make the kitchen great? 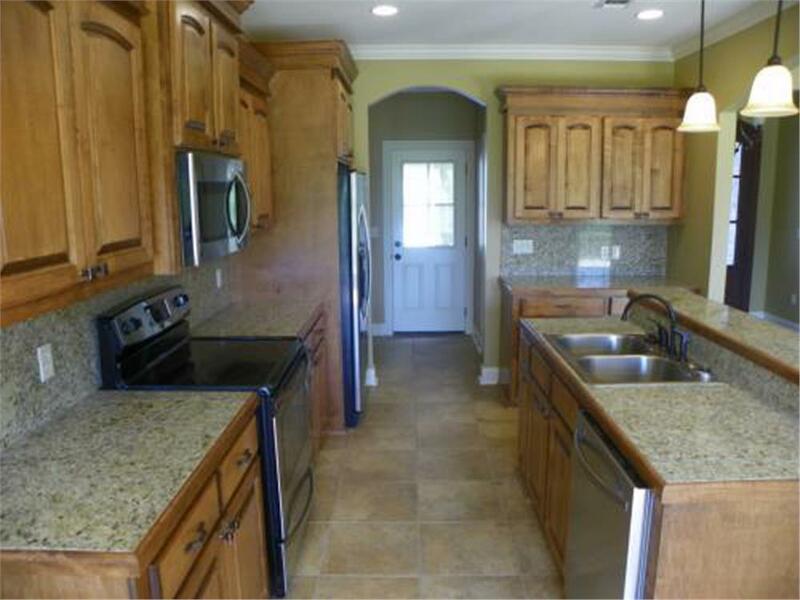 There are basically three main areas that are deemed kitchen essentials – flooring, cabinets, and countertops. Most of us are familiar with flooring from other areas of the house – and there is flexibility with cabinets, as they can be refaced and repurposed multiple times as an upgrade. 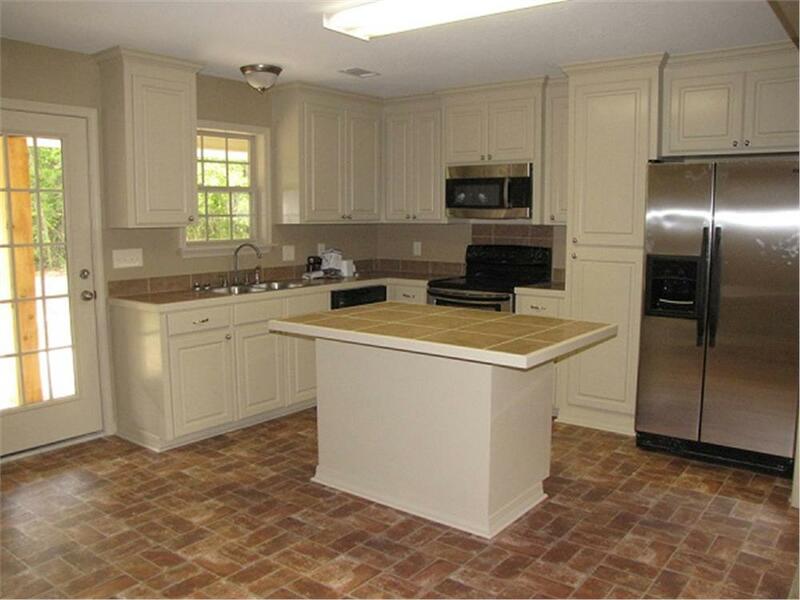 That leaves countertops as the true “make or break” area of the kitchen. When it comes to what constitutes a great kitchen countertop, the undisputed answer is the material. The different types of material will dictate the countertop’s style, durability, return on investment, functionality, and blending in with current decor. All things being equal, granite or marble countertops are the most appealing and add the maximum value to the home. Then again, marble and to a lesser extent granite aren't an ideal choice for those who cook a lot or have young kids in the home – not to mention their high cost. So what to do? 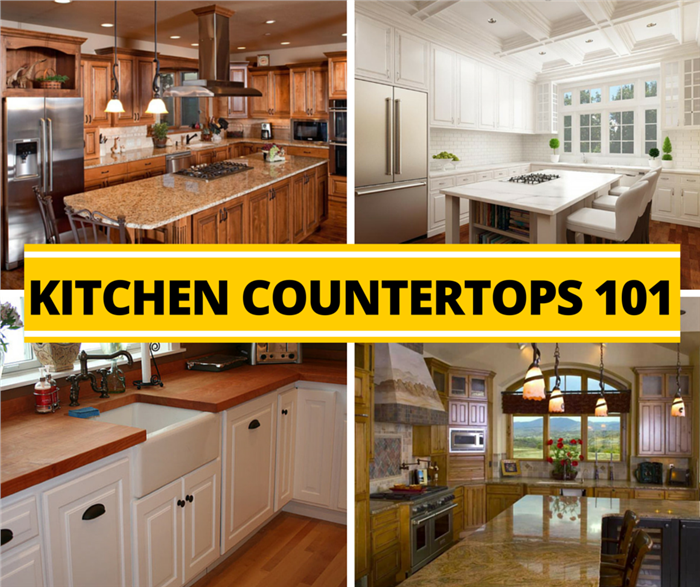 Here are some of the most popular kitchen countertop material types and the pros and cons of each. Granite is considered the gold standard of the countertop industry for a truly great kitchen and has remained a constant design trend for decades. If anything, granite is more popular than ever because modern mining and milling methods have made it available in grades other than super high end. 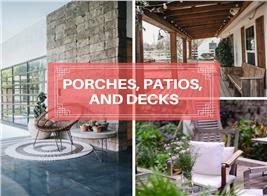 The product, although still costing upwards of $100 per square foot, is more affordable than ever. Granite is a stone from the earth, so it has a natural and unique beauty. 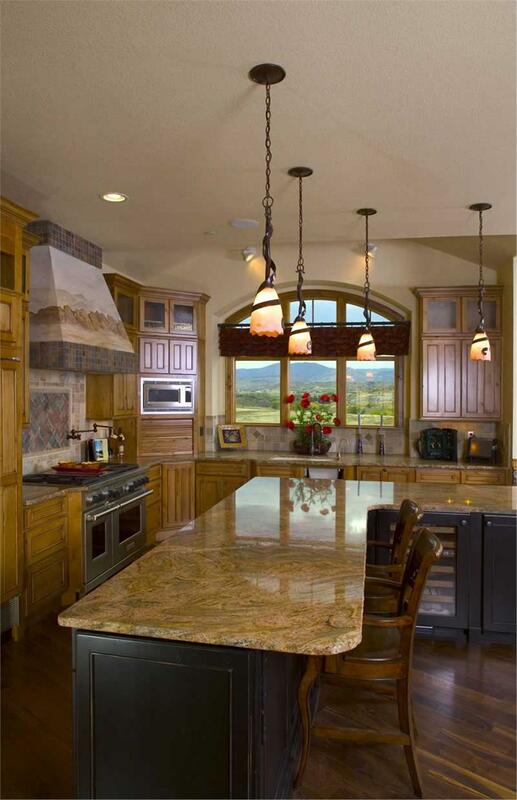 Obviously stone is also very durable as well, which helps granite countertops to retain their luster for decades. 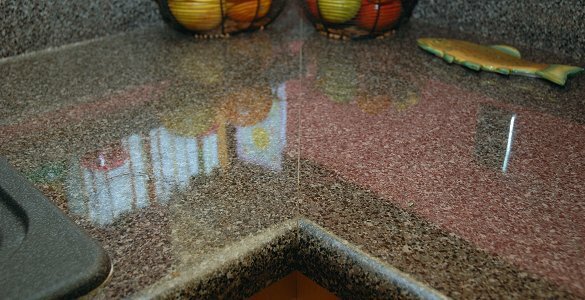 Granite does have a few drawbacks, however, as the countertops must be sealed on a semi-regular basis in order to avoid stains, and they can be easily chipped (beware children bearing hard and/or heavy toys), especially on squared-off edges. A fine example of dramatic granite material, with its whorls of color, this unusual L-shape countertop in a 2-story, 4-bedroom, 4-bath Craftsman-style luxury home plan lifts the kitchen to another level (Plan #161-1017). Granite may be the undisputed king of kitchen countertops – for now – but don't ignore the material quartz, which is manufactured from ground-up quartz stone. If given the choice, in fact, many homeowners actually prefer the quartz material because it is manufactured rather than mined. The manufacturing methods of quartz help make it devoid of some of the drawbacks of granite and other stone, such as needing sealing and being subjet to size limitations. As far as return on investment, though, quartz is still a relative unknown material and thus may not provide the same "wow factor" as when a potential buyer hears granite or marble. Quartz, as seen in this countertop from a 1-story, 3-bedroom, 2-bath Acadian-style house plan, has a more regular pattern than a natural material like granite (Plan #142-1049). Marble is an easy sell because it's name alone is synonymous with royalty and extravagance. The grains that are embedded in a white, black, rose, gray, or yellow marble countertop are truly a sight to behold – in a bathroom or office lobby that is. Marble is not recommended for the kitchen because it is extremely susceptible to stains during food preparation and cooking, and it likely won't stand up to the rigorous abuse of everyday use. 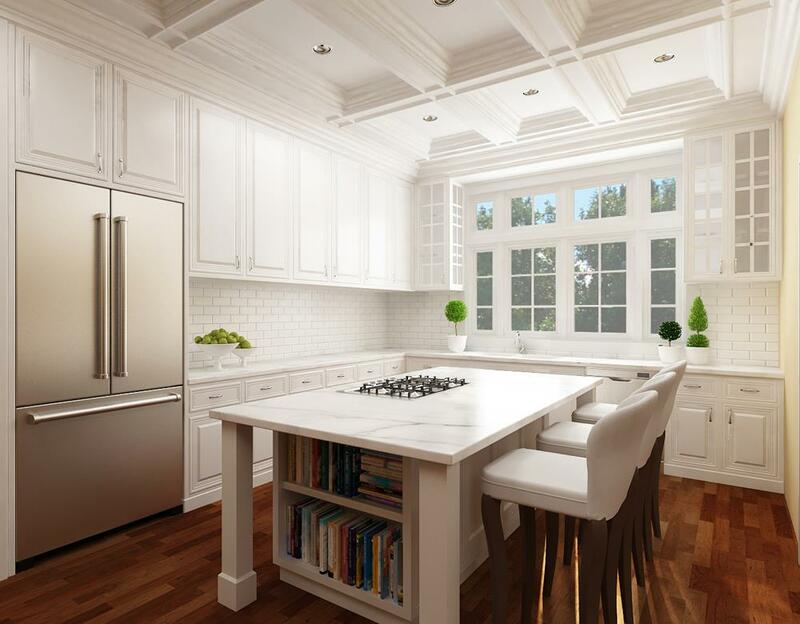 Though elegant in this all-white kitchen of a 1-story, 3-bedroom, 2-bath Craftsman home plan, the marble countertops will need meticulous care and maintenance to avoid becoming stained from everyday wear and tear over time (Plan #106-1276). Note that return on investment doesn't necessarily come from installing the most luxurious kitchen countertop material as possible. In a household with multiple young kids, for example, or one that experience hard use in some other way (frequent cooking, working on engine parts in the kitchen, etc. 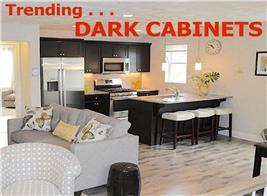 ), overspending on high-end countertops is a waste of money. Laminate, essentially a thin melamine material adhered to a plywood or fiberboard substrate, is an extremely popular kitchen countertop choice for two simple reasons – affordability and durability. Laminate countertops are highly resistant to stains and somewhat resistant to heat, won't crack under heavy impact as porous stone may, and cost only about $40 per square foot to install. The styles are improving with modern manufacturing methods, but overall, sometimes the best countertop material is simply one that lasts. Modern laminates can be manufactured to resemble all kinds of materials, like this granite pattern. The laminate countertop has a built-in backsplash and rounded edge in front. 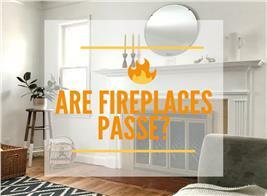 Of course, granite, quartz, or even laminate may not be good fits for every style of home plan. They may look out of place, for example, in cabin-style and rustic house plans, which would be better off outfitted with a wood countertop. When laying out these types of floor plans it's important not to "over-timber" it, however, by including hardwood floors and wood-finish cabinets, etc., with wood countertops, as contrast is always key. Wood is a natural material, which adds a warmth that almost no other material can match. Wood is a "green" kitchen choice because it is sustainable and recyclable – and some wear and tear over time actually may add allure to the style. Wood can be refinished as well, but it also must be sealed often to prevent water damage and staining. The beautiful country-style kitchen boasts a lovely wood countertop that contrasts pleasantly with the white cabinets and picks up the warm tones in the floor. 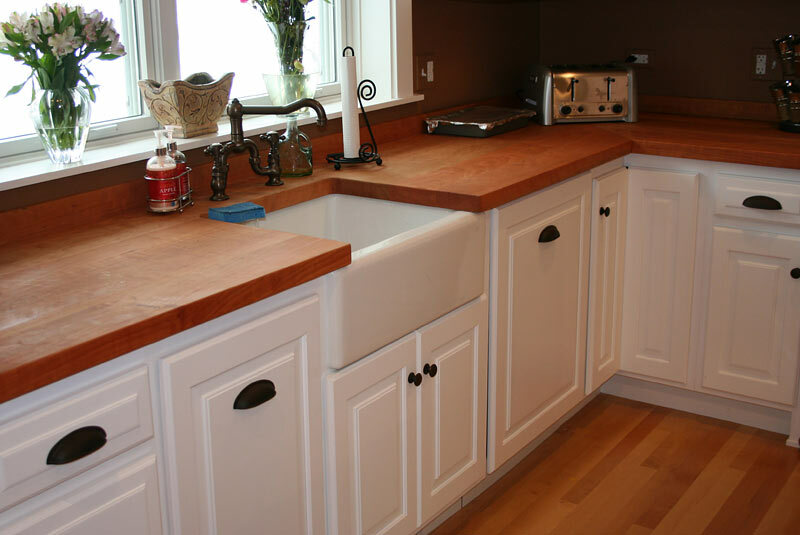 Meticulous attention to upkeep is important with this kind of countertop. Ceramic tile was long considered a material that just "got you through" while kids were young or when the kitchen was the busiest room in the house. That mindset has changed, however, as creative designers are doing some amazing things with tiled kitchen countertops. Colors and shapes of tiles are virtually infinite, and the style can be used to coordinate with the backsplash in a cohesive manner. Plus all of the main benefits of tile still remain, such as durability, affordability ($50/square foot), stain resistance, and perhaps being the easiest material to clean of all kitchen countertop types. You just need to make sure you seal – and keep sealing over time – the grout lines so that they don't get grimy. The ceramic-tile countertops in this simple kitchen of a 3-bedroom, 2-bath Coutry-style Ranch house plan are functional and echo the flooring material (Plan #142-1046). 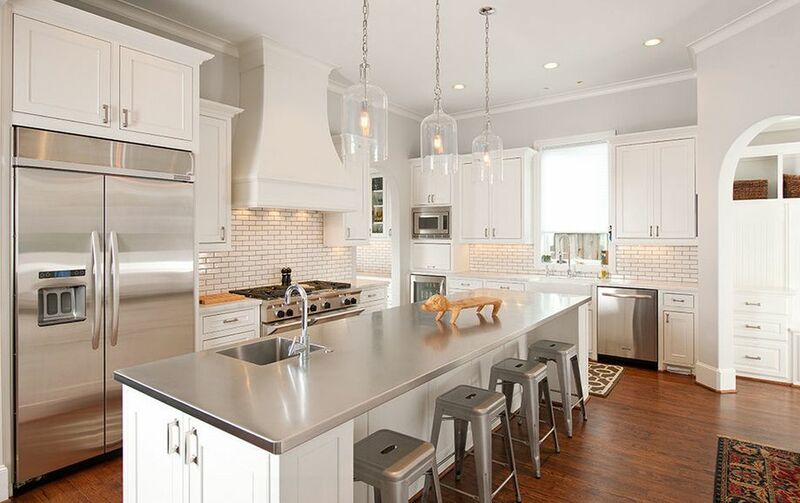 Stainless steel is the choice countertop for homeowners looking for a modern look. If your ears can handle the occasional screech of knives on steel, the stainless material provides nothing but benefits under the right conditions. Stainless steel is resistant to virtually everything from water to oil to bacteria and other liquid stains. The material's built-in reflection brings natural light to the kitchen while making the area look bigger – a big benefit to buyers down the line. But it's a good idea to limit stainless steel to areas that will not be exposed to everyday food preparation or other heavy use as it can become scratched over time. The perfect use for a perfect "modern-look" material, this combination eating bar / island will not be subject to heavy everyday wear and tear – and it is an elegant design element in this sleek, modern white kitchen. Note how it unifies the applliances and stools. Your kitchen countertops will become the focal point of the most important room of your dream home, so remember to let style, use, functionality – and, of course, budget – be the determining factors in finding the perfect material type. Note: The lead (top left) image of a kitchen with a quartz countertop is from a 1-story, 4-bedroom, 4-bath Craftsman-style luxury home plan. For more information on this house plan, click here (Plan #161-1049).